A subtle blend of simplicity and authenticity have always been the heart of the identity of our estate. 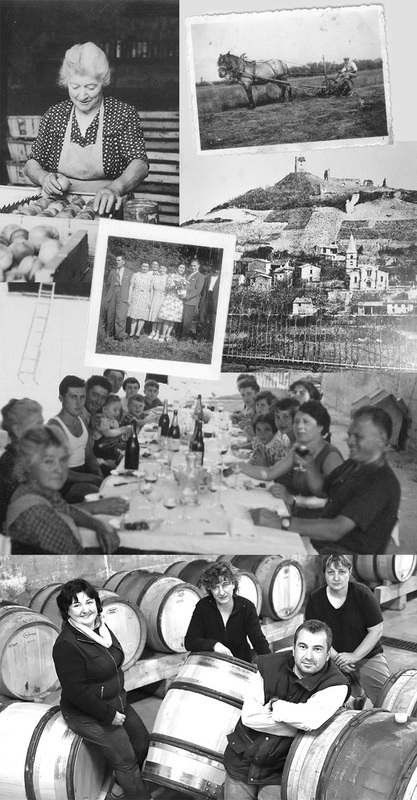 Through the act of bequeathing their vineyard to us, our parents also left us with their love of working the land and respecting the terroir. Our daily work is guided by the conviction that nature gives back what it receives. This is why we have always favoured methods which respect the flora and fauna of the land. We have always endeavoured to produce wines which respect our values, while giving consumers the pleasure of shared moments of fun and conviviality. Birth of the Michelas St. Jemms estate…Robert and Yvette are the proud parents. L’Hermitage became part of our collection of vineyards. Robert was given the exceptional opportunity to purchase 0.3 hectares of AOC Hermitage vineyards. Sylvie, Florence, Corine and Sebastian took over the estate. United by their love for vines and wine, they decided to follow in their parents’ footsteps. Birth of the “Terres d’Arce” range. From a selection of the very best terroirs of the Michelas St. Jemms estate, the four great Terres d’Arce vintages were born: Hermitage, Crozes-Hermitage, Saint-Joseph and Cornas. The estate was awarded the High Environmental Value (HVE) label. As the highest rank of environmental certification in agriculture, this certificate aims at providing wine-growers with a single environmental quality reference, thus giving consumers new guarantees for environmental protection. Our new tasting centre. Simple and sober, with a wall of bottles revealing the wine gallery, home to our most precious and oldest vintages: the estate is truly magnificent, and is a fantastic destination for wine-lovers wishing to discover Crozes-Hermitage, Hermitage, Saint Joseph and Cornas.